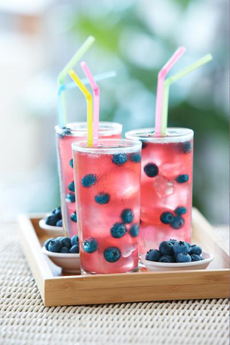 With July 4th Weekend starting in a week, plan to make something red, white and blue. 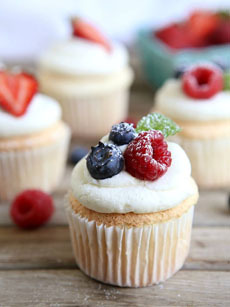 Even if you’re spending a quiet weekend at home, you can celebrate our Independence Day with a patriotic bite or two. Here’s a group of recipes to bite into, and we’ll be showcasing more between now and the 4th. Some are so easy—no cooking—that all you have to do is put the pieces together. 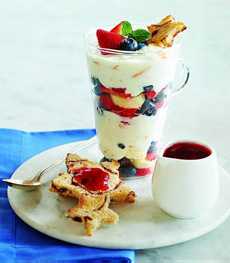 COULDN’T BE EASIER:  Yogurt plus berries. For fun, cut star-shaped toast with cookie cutters (photo courtesy Smuckers). 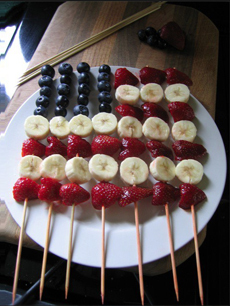 American Flag fruit skewers (photo courtesy Stix Mediterranean Grill | NYC).